We’d love your help. Let us know what’s wrong with this preview of Gwynne's Grammar by N.M. Gwynne. In a pickle over your pronouns and prepositions? Fear not—Mr. 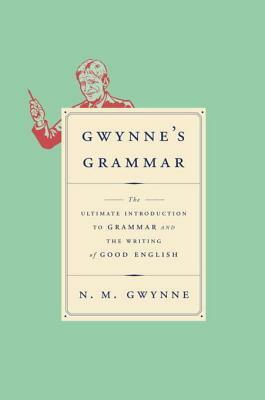 Gwynne is here with his wonderfully concise and highly enjoyable book of grammar. Within these pages, adults and children alike will find all they need to rediscover this lost science and sharpen up their skills. Mr. Gwynne believes that happiness depends at least partly on goo Anxious about apostrophes? Mr. Gwynne believes that happiness depends at least partly on good grammar—and Mr. Gwynne is never wrong. To ask other readers questions about Gwynne's Grammar, please sign up. Rec When an idiosyncratic book on English grammar becomes a bestseller in the United Kingdom, it makes one wonder who is buying it. English-as-a-second language immigrants? Schoolteachers? Students who feel their current instruction deficient? Adults who got short shrift in grammar when back in school? If so, then perhaps Gwynne’s Grammar: The Ultimate Introduction to Grammar and the Writing of Good English will become a bestseller here in the colonies as well. It should. Heaven knows we need it. N.M. Gwynne, who’s already caused a stir in Britain with his promotion of Latin as the solution to all the world’s problems, or at least the educational ones, has here compiled a collection of how language “ought” to be written. The key is the word “ought,” which implies more than a little judgmentalism, borne out in the book through his use of epithets such as “crass illiteracy” and his tone of general superiority. Yes, there are standards of writing that people who want to be successful need to N.M. Gwynne, who’s already caused a stir in Britain with his promotion of Latin as the solution to all the world’s problems, or at least the educational ones, has here compiled a collection of how language “ought” to be written. The key is the word “ought,” which implies more than a little judgmentalism, borne out in the book through his use of epithets such as “crass illiteracy” and his tone of general superiority. Yes, there are standards of writing that people who want to be successful need to follow. But Gwynne apparently never met a shibboleth, peeve or “rule” not based in actual English grammar that he didn’t like -- don’t split infinitives, don’t begin sentences with conjunctions, etc. The last third of the book is a reprint of Strunk’s original 1918 “Elements of Style” (before White got his hands on it), which is fun to read simply from a historical point of view, but not particularly helpful for today’s writers. If you are a person who thinks that These Darn Kids Today are ruining language, this is the book for you. If you are a person trying to improve your writing, plenty of other grammar books out there will do a better job of helping you. I’m having flashbacks to when learning English wasn’t fun: yardsticks, chalkboards, and red pens. Though Mr. Gwynne begins his grammar book saying proper learning is the path to true happiness, his content isn’t the most chipper. Instead, Gwynne stands atop the mountain of dead lexicographers, waving the weary flag of prescriptionists everywhere. Two mistakes I made prior to writing this review: reading Margaret Atwood’s latest short story collection and reading Steven Pinker’s SENSE OF STYLE. If I’m having flashbacks to when learning English wasn’t fun: yardsticks, chalkboards, and red pens. Though Mr. Gwynne begins his grammar book saying proper learning is the path to true happiness, his content isn’t the most chipper. Instead, Gwynne stands atop the mountain of dead lexicographers, waving the weary flag of prescriptionists everywhere. Is it all bad? No. Move past the my-way-or-byway attitude and the paragraph starting ergos and you’re left holding a lovely handbook: twofold. One part definitions; one part style guide. As learning goes, mixing it up will always do you well. Just don’t let the meanness bog you down in the swamps of discouragement. As for the style guide, this is a handy look at Strunk’s original work before White tied it up. Of course, Strunk was imperfect and Gwynne has corrections for him, too. I love all style guides and grammar books, but I love to make it fun. This book wasn’t fun and could callous an eager learner’s endeavors. Those that appreciate the masochistic effort of learning the definition of the word “participle”, proceed. While you are at it, pick up that book about eating, shooting and leaving: that author will call you stupid and hopes you get hit by lightning. Thank you to the folks at Knopf for sharing this with me for review. While I am very familiar with grammar, this was still an interesting read. I was disappointed to learn that the end of the book is Strunk's Elements of Style because I enjoyed Gwynne's writing. I love that a grammar book became a best seller (at least in England), and its author is quite fun to read and listen to. I collect grammar books and am very happy to add this one to my collection. I wouldn't use it in our homeschool as a primary text, however, mainly because there are no exercises provided. But it is a very worthwhile and practical reference, and one to judge all the others by. The author is enthusiastic about the subject and "old-school" (classically trained): "... the traditi I love that a grammar book became a best seller (at least in England), and its author is quite fun to read and listen to. I collect grammar books and am very happy to add this one to my collection. I wouldn't use it in our homeschool as a primary text, however, mainly because there are no exercises provided. But it is a very worthwhile and practical reference, and one to judge all the others by. The author is enthusiastic about the subject and "old-school" (classically trained): "... the traditional rule should be stated all the more uncompromisingly the more it is fading away under the pressure of prevailing fashion-- perhaps even stated as one to be defended for all time, and yes, even after the battle seems irretrievably lost." He believes in a grammar grounded in principle and "reasoned reverence" for our language. "Our language is something that we have the use of, but we have a duty to be responsible, even to consider ourselves trustees during our period of 'occupation.'" He believes our happiness depends at least in part in knowing good grammar. How can I not love this author? Gwynne's Grammar does owe a debt to the original 1918 Elements of Style by Strunk (minus White-- Gwynne is "wary" of the later edition with White), so if you're a fan of Strunk's original, you'll find it supported with more details here. I checked this out of the library with the thought it might be a good idea to brush up on my basic grammar. I was befuddled recently when someone asked me to explain what "nominative case" meant, and I couldn't remember the definition. Hey, college was a long time ago. It was all I could do to get as far as I did with it, which was about the 40% mark. This was not because of the material, but because of the author's pedantic style and obvious contempt for anyone (or any country) whose language u I checked this out of the library with the thought it might be a good idea to brush up on my basic grammar. I was befuddled recently when someone asked me to explain what "nominative case" meant, and I couldn't remember the definition. Hey, college was a long time ago. It was all I could do to get as far as I did with it, which was about the 40% mark. This was not because of the material, but because of the author's pedantic style and obvious contempt for anyone (or any country) whose language use doesn't conform to his precise ideals. Honestly, for a few pages, I thought this was a failed attempt at sarcastic humor; that's how utterly stuffed his shirt is. I've been known to throw a good rant about starting sentences with conjunctions or fewer/less myself, but I don't think Western Civilization is going to collapse because Americans and Brits differ on where to put commas used with quotation marks. Gwynne's Grammar actually is William Strunk's 1918 (out-of-copyright and thus free)grammar reprinted wholesale, preceded by a huge amount of imperious, fustian verbal flatulence. Better to skip the gas cloud and download something more useful and less obnoxious. This is a reference book about grammar. It talks about all the details, phrases, clauses, punctuation, usage, etc. The author has a very high opinion of himself. Somewhere in the book he says, only half jokingly, that this is one of the most important books ever published in English. Despite the author's egotism, the book is a good reference. Grammar is kind of like driving. It's a skill we all make use of every day, but it does one good to occasionally think about how to do it better. Taking in Gwynne separates one into the camp that there is a right way to write. Mr Gwynne is severe. He accepts the original Strunk & White, but not the revision. The basic argument is that language is rule-based; so follow the rules. Chaos results otherwise. It's easy to laugh, but we may better off, if we followed this concise book of a few chapters combined with the original Strunk & White. It can be read quickly, but there is little point in so doing. Half of this little book includes the original Strunk on Style, but the rest is a fun-to-read grammar refresher, and an enlightening chapter on writing verse. This was not the book I was hoping it would be. I read a book awhile ago that gave examples of some of the basic mistakes in our everyday talking (e.g. oral vs verbal, bemused vs amused, alluding vs eluding, under vs imply, fewer vs less). This book would probably be excellent for an English major...but just not me. I'm not sure if I should give it 2 stars or 3. Only read this if you want some heavy detail. Nevile Martin Gwynne is a British writer who has gained recognition for his book, Gwynne's Grammar. He has also written Gwynne's Latin. He spent his early days in Gloucestershire before attending Eton College and Oxford University, graduating with a degree in Modern Languages. 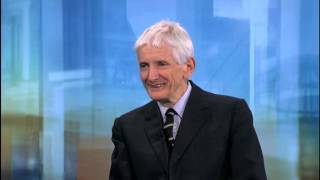 Formerly a successful businessman, Mr Gwynne has for many years been teaching and tutoring just about every sort of subjec Nevile Martin Gwynne is a British writer who has gained recognition for his book, Gwynne's Grammar. He has also written Gwynne's Latin. He spent his early days in Gloucestershire before attending Eton College and Oxford University, graduating with a degree in Modern Languages.